Earlier this afternoon, Sportskeeda Analyst Daniel Wood broke the news in regards to the possibility of CM Punk and an AEW copyright claim, that could have spoiled the surprise of a potential working relationship between All Elite Wrestling and CM Punk. Now, we have a follow up to the story that may potentially be a rumor killer. As we spoke about in the previous story, speculation was rife that CM Punk may have a secret working relationship with All Elite Wrestling and may be selling merchandise through a collaboration of some sort through the Pro Wrestling Tees website. CM Punk has not commented on the subject at this time, nor has Cody Rhodes or any other representative from AEW. As reported earlier on, we know there was an apparent connection and copyright claim between PWTees, AEW and CM Punk, as you can see in the Tweet below. Now we have an update to the story. PWTees has officially responded to the claims and are denying any relationship or partnership between Punk and AEW, respectively. This tweet was directed at Twitter user Douglas Hinkley for posting the above picture on the copyright claim. For the record, I file copyright violations weekly at the same time for hundreds of designs on tons of bootleg sites including new japan designs, bucks, macho man, cm punk, AEW, legion of doom etc. I'm not sure why this is news. People should stop bootlegging merch, THAT'S NEWS! You can take the tweet for what it is worth and for your own interpretation, wrestling fans. All Elite Wrestling is planning to hold their first official event: "Double or Nothing" on May 25th from the MGM Grand in Las Vegas, Nevada. We are all going to be in for an interesting ride between now and May 25th as whom may show up and be a part of this groundbreaking event. 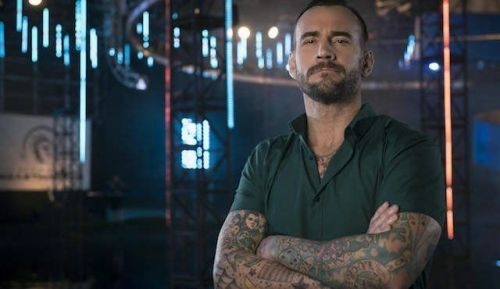 What do you think of the rumors in regard to CM Punk and AEW? Let's hear your thoughts and your interpretation of the report(s) in the comments below.